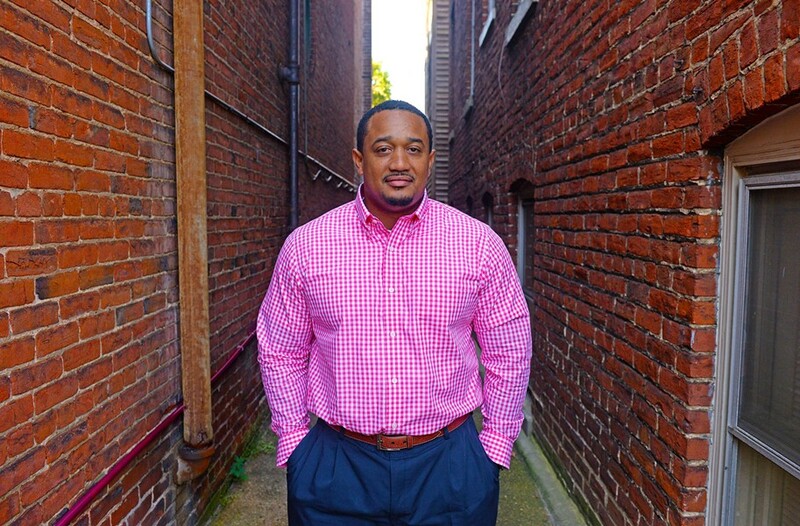 Sean G. Monroe Sr., 39: Director of Programs at HomeAgain and Football Coach at Hotchkiss Community Center | 2015 Top 40 Under 40 | Style Weekly - Richmond, VA local news, arts, and events. Sean Monroe grew up in a low-income neighborhood in Charlottesville and got into a bit of trouble now and then, he says. He was rebellious and wound up homeless, eventually enlisting in the military and being stationed in Germany. His first tour was in 1996, serving during Operation Joint Endeavor in Bosnia, a hazard zone. “I probably came out worse than I went in with anger issues,” Monroe says. But the big turning point in his personal development came after the military, when he moved to Richmond, started taking college courses at Virginia Union University and got involved in community work as a mentor and advocate for the homeless. He credits his dad, wife and brother with pushing him in the right direction every step of the way. Monroe got on as many boards as he could and eventually became director of programs at HomeAgain, where he helped change the agency’s focus from temporary solutions to permanent housing. He serves on the Homeward board of directors and the Greater Richmond Continuum of Care, a program and policy board working to end homelessness. He also provides oversight for veteran program services provided in Petersburg, including serving on the First Lady’s Initiative Team Effort Foundation board of directors in support of the Petersburg Freedom Support Center. Because of his own past struggles, Monroe says he feels more comfortable being around people who’ve had the same experiences.